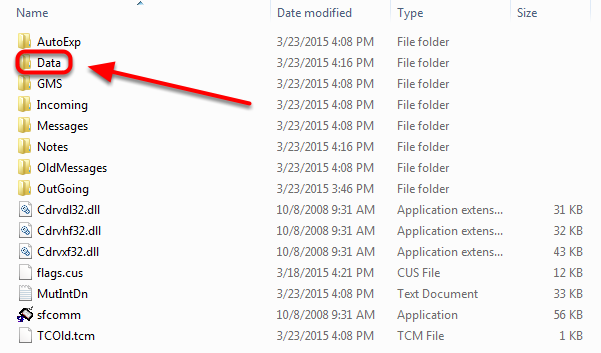 If you had previously copied the data to the hard drive start with step 1. Otherwise skip to step 8. 1. Close TC2000 Funds and then right click on the TC2000 Funds icon on your desktop. 3. Click Open File Location or Find Target. 4. 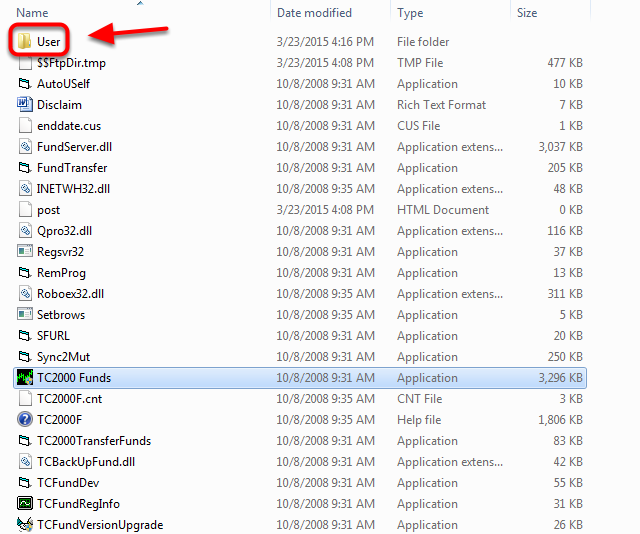 Double left click on the folder named User. 5. 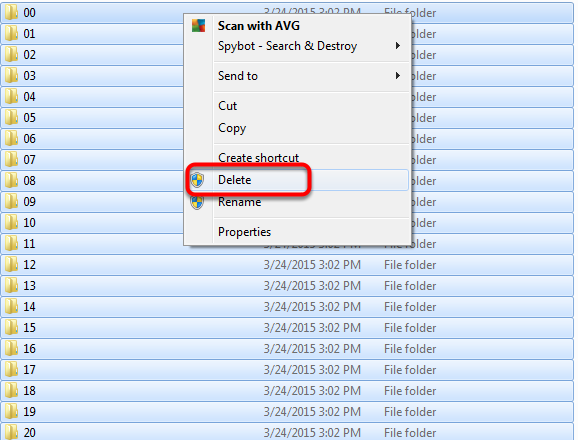 Double left click on the folder named Data. 6. 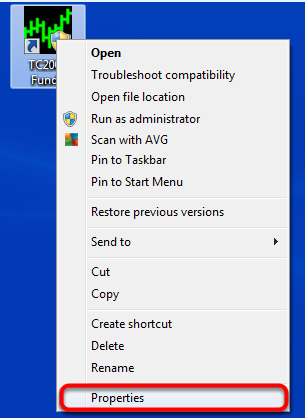 Double left click on Folder named HCache. 7. Use Ctrl + A on your keyboard to select all the numbered folders. Right Click on the Selected Folders and then left click Delete. 8. 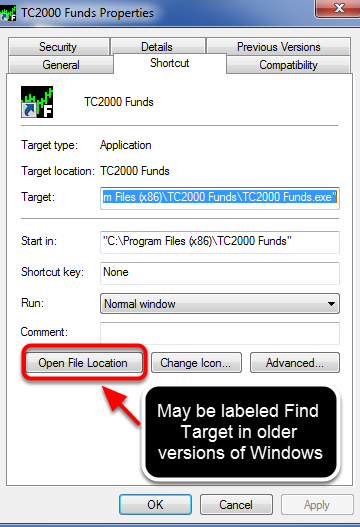 Insert the TC2000 Funds CD Rom into the CD Drive if not already inserted and then double left click on the TC2000 Funds Icon on your desktop. 9. Change the watchlist to All Items in Systems or whichever list you would like to copy to the hard drive. 10. Click the Watchlist drop down menu. 11. 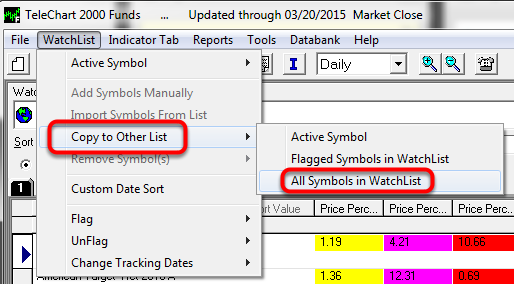 Select Copy to Other List - All Symbols in Watchlist. 12. 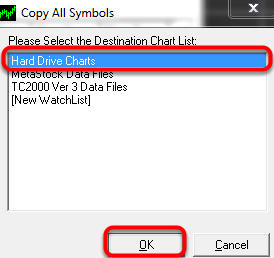 Select Hard Drive Charts in the Copy All Symbols window and then click OK. The process of copying the data will take several minutes but once it completes you will no longer need to insert the CD Rom for historical data.